World's only patented, Garrett Gravity Trap Pan series, 90° riffed design ensuring rapid gold recovery in wet or dry conditions. 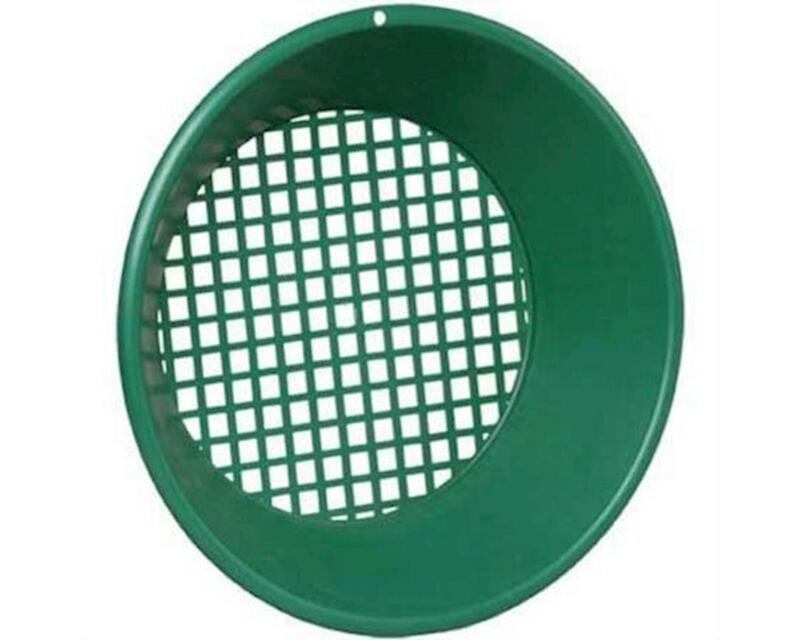 All are lightweight, green and virtually indestructible for years enhanced gold nugget visibility and panning. A must for every electronic prospector and proven worldwide. Garrett Metal Detectors Prospector Gold Pan, 14"
Garrett Metal Detectors Backpacker Gold Pan, 10"